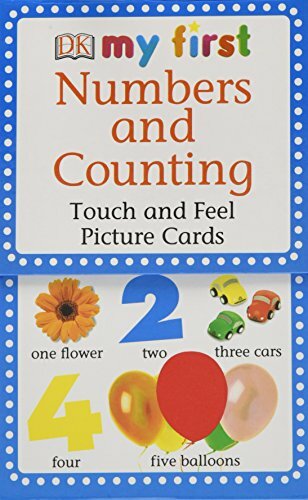 Featuring objects that babies love including cars, balloons, and flowers, My First Touch and Feel Picture Cards: Numbers and Counting contain photographs and textures on the front of the cards to keep young children engaged, while the back of the cards have related questions for additional talking points. In addition to English, each card includes pronunciations in Spanish, French, German and Chinese. A parents' guide that contains ideas for simple and advanced games to enhance the learning experience rounds out the package. If you have any questions about this product by DK Preschool, contact us by completing and submitting the form below. If you are looking for a specif part number, please include it with your message.